How Nutritious are Meal Replacement Shakes? Are They Really Healthy? Meal replacement shakes are extremely popular among people of all ages, as they contain an excellent nutritional profile and are more convenient than preparing a meal on your own. 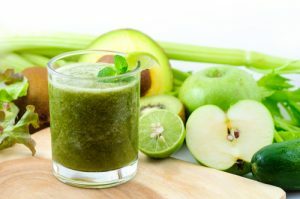 While these drinks can be good in a pinch, they should only be used sparingly as they are highly processed and contain a variety of nasty synthetic ingredients which the body has a difficult time digesting. The synthetic ingredients aren’t the only thing you have to worry about when it comes to your meal replacement shakes either, as many of them aren’t as healthy for you as you probably think. The next time you are food shopping and are thinking about picking up some meal replacement shakes, you may want to think twice. What is Bad About Meal Replacement Shakes? Getting type II diabetes, being overweight, or becoming obese are three of the biggest risks to our health. The over consumption of calories especially in the form of sugar is a large reason why so many adults now suffer from these debilitating health issues. The next time you are considering buying one of these meal replacement shakes, pick up the bottle and take a look at the ingredient list. The chances are extremely high that you will see sugar listed at the third or even second ingredient on the bottle, which is a huge indication that you should avoid it altogether. Processed foods made with artificial ingredients aren’t good for the body because the body has difficulty digesting these synthetic ingredients. Although these synthetic ingredients mirror natural ingredients as they are enantiomers, they aren’t identical. These types of ingredients have been linked to problems such as headaches and weight gain which clearly isn’t to our benefit. Many of these ingredients are known to cause inflammation as well, such as the ones which are made from refined oils. Inflammation is the root cause of many types of diseases that we know of, and is another reason why we should limit our consumption of these meal replacement shakes. Synthetic vitamins and minerals haven’t shown to have any negative effect on our health, however the body does have more difficulty absorbing these types of nutrients. This means that when you are drinking one of these shakes, you are only getting a fraction of the nutrients which are listed on the bottle. Don’t rely on these types of shakes as your sole source of your vitamins and minerals. Many people drink these shakes when they are not feeling good, especially when they are having digestive problems. 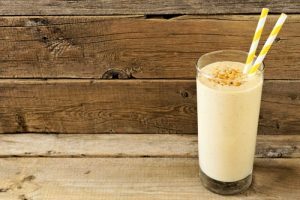 When we are having these types of issues we rarely have an appetite, and meal replacement shakes seem like a good option for us to meet our dietary needs. 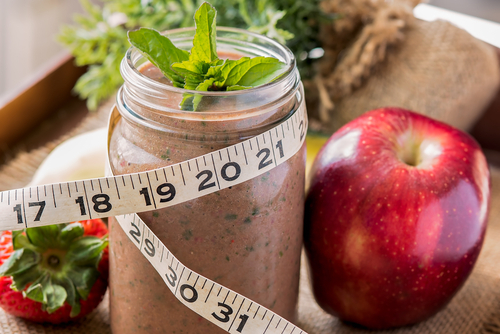 The problem here is that due to ingredients such as added sugar, artificial ingredients, and refined oils, meal replacement shakes can actually exacerbate these digestive problems. There are no ingredients found within these drinks which benefit our gut health either, which means that our overall digestive health suffers when we regularly consume meal replacement shakes. Protein and fiber are two of the most important nutrients that the body needs for various reasons. Both of these nutrients help to keep us satiated as fiber keeps us full, and slow digesting protein kills hunger cravings. Being devoid of these two nutrients mean that these meal replacement shakes aren’t going to keep us feeling full for long at all, which can cause us to consume an excess of calories. This defeats the whole purpose of using these meal replacement shakes for dieting, as individuals have to suffer through long bouts of hunger throughout the day while doing so. What are Better Alternatives to Meal Replacement Shakes? Making your own smoothies or shakes is a great alternative to picking one up off the shelf, as this is going to be the much healthier option. When you make your own shakes you can put precisely what you want into the shake, making it healthier and also allows for more variety. When you make your own shakes using fruit, vegetables and some protein powder, you can significantly reduce the amount of artificial ingredients you’re using without having to worry about it becoming too bland. Investing in a portable, compact blender doesn’t cost too much either, and is well worth the investment to your health.